Alex J. Cavanaugh: Movies, Fests, and Stuff! 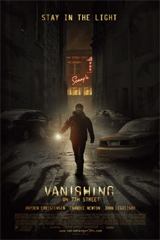 "Vanishing on 7th Street" had the potential to be good but its laziness and unimaginative direction ruined it completely. Both films were mediocre at best! Nebular, Vanishing was disappointing. The A-Team was just like the show - campy - so I thought it was fun but nothing to write home about. Jules, you'll probably get a kick out of the movie then! And that's just what this movie was! There'd be line, line, line, BOOM!!! Completely brilliant. I just watched the Swedish version of The Girl With the Dragon Tattoo on Netflix instant last night. I enjoyed it, and thought the pacing was even better than the book. I'm curious to see how the second one goes. I liked the A-Team TV show, can't say I'll watch the movie. A lot of Blogfests going on that's for sure. Thanks for letting us know. I also found VANISHING ON THE 7TH STREET boring but I had to watch it since I find Hayden and Thandie abnormally gorgeous and can't resist watching them in any possible (EVen bad) opportunity. LOL- no nakedness, but A-team was a decent one to watch. Great post! loved A-Team for exactly that reason. I pity the fool who doesn't read your A-Team movie review! Do you watch Tosh.0? Last night he did a funny review of Tiptoes starring Matthew McConaughey and Kate Beckinsale. Apparently it's not that great...But great eye candy! Have you seen it? 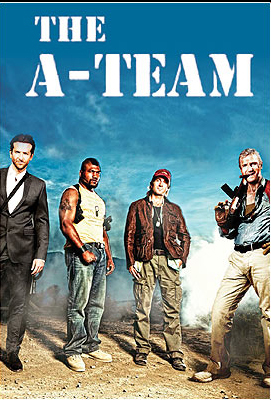 I never watched the A-team on TV so I imagine the strengths of this movie would miss me. I probably won't see it, although I did see the expendables, which probably wasn't that different. Actually, I enjoyed the A Team. Made me laugh. It was always a bit over the top but fun never the less. One movie I watch this past weekend and really enjoyed it was Red, Bruce Willis, Helen Mirren, Morgan Freeman, and the delectable Karl Urban--who actually had a good role in this one. I have A-Team in my Netflix queue. Oh,tempted by Larry's blogfest, but don't know, so difficult. say, did you ever see District 9? I thought it was an excellent underrated scifi film - which can be so hard to do well. signed up for a-z - should be fun! District 9 was amazing. I was surprised. What a bummer about The A Team...not surprised though. Signed up for the A-Z challenge and put Hart's blogfest on my side bar. The A-Team movie had to be bad! I was sure it would 'miss.' Looking forward to the A-Z and Super 8 blogfests!! See you there! Plans to watch Adam Sandler's "Just Go with it" this weekend. Haven't caught the A-Team yet. Did see RE: Afterlife this past weekend. Looks like they set it up to possibly continue, but...where do you go after the Afterlife? :) Hart's blogfest looks fun! Going to check it out now...thx! Used to love The A Team on the television......my word that was some years ago. Emily, that's why it was fun. Matthew, I saw it as well. A bit brutal, but the movie was good. Shame American studios have to remake all of these foreign films. Jaccstev, that's the best way to sum it up! Kelly, I've not seen that Kate-fest! Charles, the A-Team IS better than the Expendables, I will give it that. Melissa, Sucker Punch should rock! Sia, I really enjoyed RED! Fine film and cool watching all those actors together. Nate, Caruso is a love him or hate him type of guy I guess. MsHatch, I did go to the theaters to see District 9. Donea, I'm sure they have something planned for another Resident Evil. Glad so many enjoyed The A-Team. Just think dumb and fun. And glad so many are doing the A to Z Challenge! I hated the A'Team and didn't even finish watching it! I suppose it was funny in the mindless entertainment way. I'm watching the latest Resident Evil tonight. I think I'll pass on the movies and I' doing two of those blogfest. I so want to see the A team!! I love how they completely set out to look just like the original!!! I mean complete clones!!! I'll end up watching both those movies. Good to know about the characters in the A-Team. It's a solid maybe here. Nakedness? I wish! But, alas, I have children in the house. Hi Alex: We just started watching Doctor Who on Instants. I like it a lot. And I really dig Netflix instants. So many shows I might not have otherwise been able to see. The A Team can't compete with the A to Z Team! Now heading towards 400! Thanks for your comment. I'll have to check out these movies. I joined Ides of March. This one looks like a lot of fun. Thanks for the links. 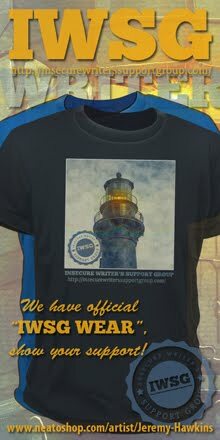 Your site is a great source for the latest and greatest. So busy with Crusaders, blogfest, and A to Z coming up! Ellie, you had to leave your brain at the door for that one I'm afraid. Sangu, you won't know unless you try! Whisk, the NetFlix possibilities are endless! Lee, you got that right! M Pax, you probably will! Blasted! You have taken the lead on me by 9! I thought A-Team was pretty good. My wife hated it. I think all women hate that movie. But she made me watch Eat, Pray, Barf so it all evened out. I want to watch Anderson's Sesssion. That sounds good! Cheeseboy, so glad I didn't have to watch that one! And have I really taken the lead...? I will probably pass on both those movies so thanks for the reviews! Can't wait for the A-Z...gotta get the promo on my sidebar today. BTW...just finished reading CassStar for the second time, really a good piece of work, man. We watched a DVD this weekend, but I don't know the name of it. It wasn't a horror, but scenes made me scream and cover my eyes. I eventually left the room. I also haven't seen the post about Hart's blogfest. Gotta go check it out. Thanks for the head's up! PS...I thought you were a southern boy. It's nekkid, lol! I'd watch A-Team just because it'd be shallow entertainment, which is sometimes quite fun. What women have to put up with . . I've tried to stay away from the A-team. But maybe it needs a viewing. I pity the fool that thinks that. Chuck, you've read it twice? Wow, I am honored. Words, I just live in the south! Lydia, that's the whole point of the movie. Donna, we're just odd that way I guess. Yay for A to Z! I'm really getting excited now. And the A Team? What? That's a film? God, I'm outta the loop. Thanks for the A-Team info. I've been reluctant to watch it since I have fond memories of the TV series. The last film I watched was Buried. Husband picked The A-Team for his Christmas Blu-ray. We knew it would be bad and we bought it anyway. It was fun and explody and completely unrealistic. In other words: entertaining. I really liked the actors they picked to play these cheesy roles and I hope they do a sequel. Awesome reviews, Alex! And thanks again for hosting me on Monday! Hey Katherine! Yeah, I expected campy fun and it delivered. Heather - explody! Wish I used that word in my review. You nailed it. Hope y'all have fun with it! Session 9 was better? I wasn't too impressed with that either. But it was so long ago that I saw it, maybe I need to give it another shot. Actually pretty excited about The A-Team's silliness! I loved the A-Team. So much fun! I liked the TV version of the A-Team. Dirk Benedict was easy on the eyes, too! The A-Team now I like the original series. I am definitely going to see the A-Team. I liked the previews. I'm sooo glad to know the A-Team kept its silliness intact. Remakes of TV shows and comic books can be so bad when they get realistic and take themselves seriously. Sounds like a good veg-out night Netflix and popcorn movie. I just joined the A-Z challenge. 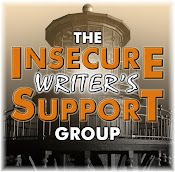 I'm looking forward to a month of blogging! I loved the A-Team. :)Of course no one is Face but Benedict. Pitch Black is good... of course, that may be because I love me some Vin Diesel, especially as Riddick. Jolene, we need cheerleaders as well! Diane, I can't comment on Dirk. Anne, it is - enjoy! Julie, obsessions are all right. Nutschell, glad to have you!! Ciara, you're the second one to mention him. Alexia, I can't comment on Diesel, but really enjoyed Pitch Black!